Hey! We’ve had a Kickstarter! And I know some of you don’t read this news stuff unless I put it up where the comic goes during the weekends, so here this giant thing is. We funded the book run already, but I still wanna let everyone know in case they want to get in on the ground floor with some sweet rewards, like prints and magnets and original art. The Kickstarter’s also already surpassed its first stretch goal at $20k, which unlocked Saturday updates for the comics. So if you’re scrolling backwards from Monday’s comic, be sure to navigate back one page from today’s to see Saturday’s comic! These Saturday comics will happen for the next year. 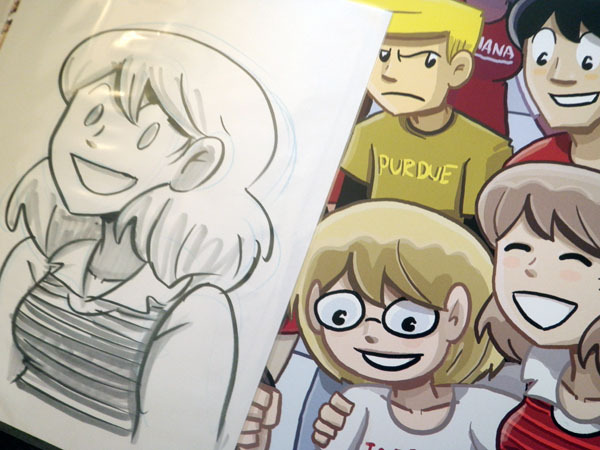 The next stretch goal at $27k, which we’re about to pass as well, is to print Roomies! Book 2 (collecting stuff of mine from 1999!) with black and white interiors. A few thousand dollars more and we can afford to get color interiors, as there were a few Sunday comics that year. 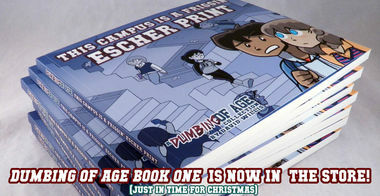 Everyone wants a little Dumbing of Age under the tree. Hey, look, it’s a sweet Dina poster! It’s printed on 11×17″ cardstock gloss paper, same as the ol’ “Crisis” poster, and comes delivered to you in a large cardboard envelope. Rarr! Rarr indeed! If you don’t want the poster but want a version of the file suitable for desktop wallpaper purposes, that’s an option, too. 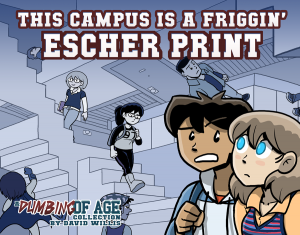 Also, woo, Dumbing of Age Book 1 is also in the store now! Order quickly if you want this around for Christmas. 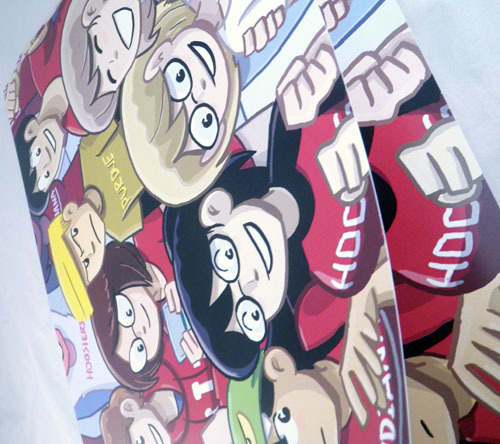 Hey, who wants a sweet Dina poster? 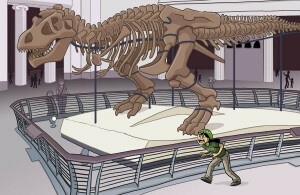 If that answer’s you, then check out “Rarr!”, which is an 11×17″ piece of work printed on glossy cardstock. There’s also a wallpaper option for you, too. Check out the store page for details! Yay! “Touchdown” posters are here! LOOK AT THAT EDGE. LOOK AT IT. The big box landed on our porch early this morning. These “Touchdown” posters are super pretty. Look at the image on the left and check out how thick the paper is! You can see the damn edge. I put ten of them in the mail today. Look for a big thick envelope in your postbox soon, if you’re a lucky orderer. And those of you who opted to upgrade for the additional sketch, you’ll find that in there, too! I created them with pencil, brush marker, and love. Poster and a sketch upgrade available! There are some “Touchdown” posters remaining (they are limited to 50 pieces), so get to the store before they’re gone! Not only do you get some sweet art, but you help me and my wife afford a nice trip together. I will be forever grateful. She’ll be forever gratefuller. 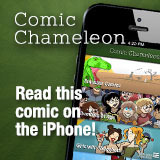 Preorder a book of my other webcomic!